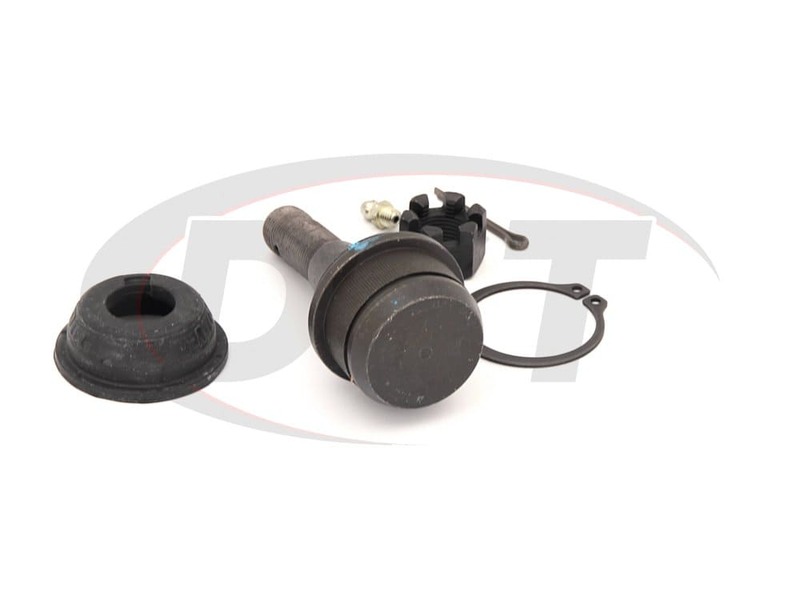 Moving the grease fitting not only makes it possible to service the ball joint after installation, it also will keep the grease fitting from interfering with the drive axle as well. 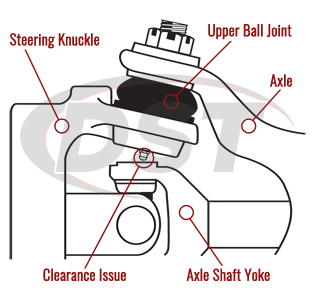 Trouble with Your Ford's Ball Joint Replacement? 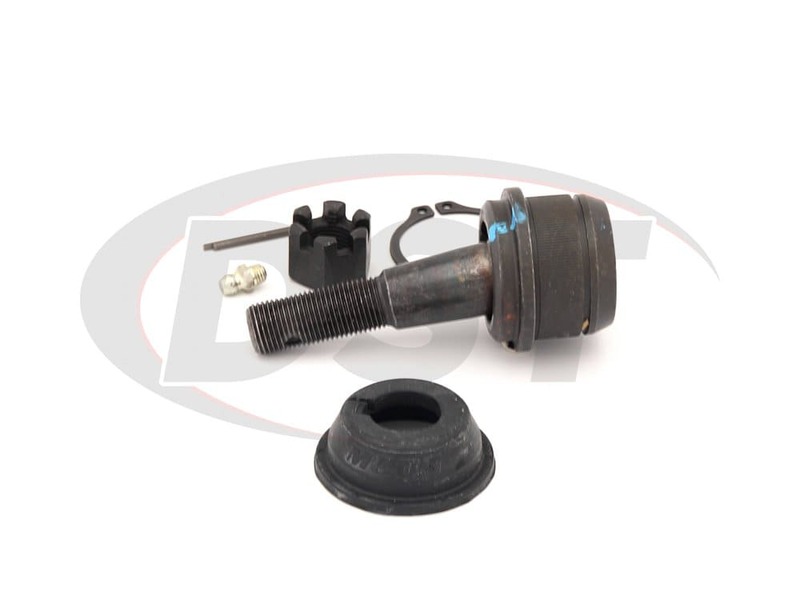 Did you at some point during the life of your Ford light truck or SUV have to replace the upper ball joint? If you did chances are you can't get to the grease fitting now so that you can service it. Even worse you might have noticed that the ball joint and the drive axle are damaged. You don't have to be a DST parts expert to know how infuriating this can be. 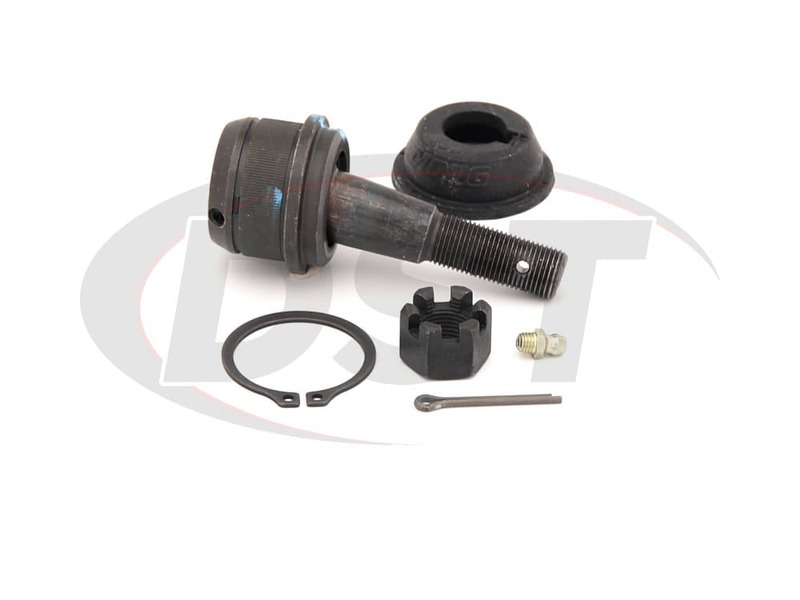 Moog has the solution to your problem in their upper ball joint K8412T. 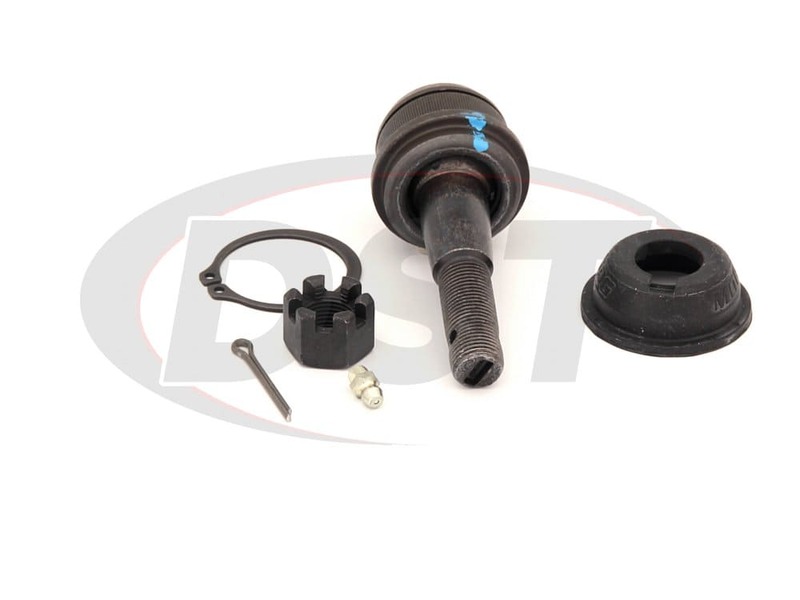 Most OE ball joint replacements don't account for the position of the drive axle, leaving you unable reach the grease fitting. This is also causing damage to not only the grease fitting on the ball joint but also the drive axle. If left unchecked this could damage other parts of your vehicle, costing you even more money in repairs. 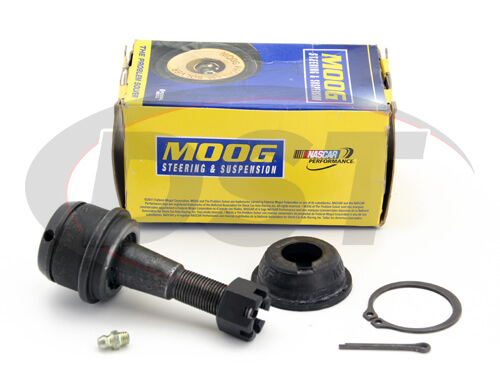 Moog has solved these problems by simply moving the grease fitting to the corner of the ball joint on K8412T. 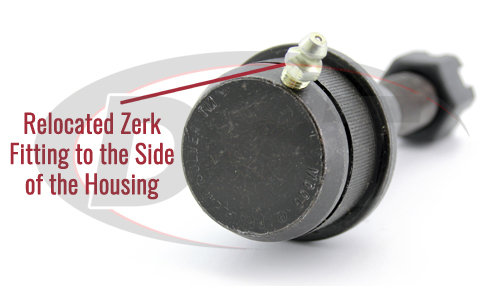 Moving the grease fitting not only makes it possible to service the ball joint after installation, but it also keeps the grease fitting from interfering with the drive axle. K8412T also comes with Moog's hardened powdered-metal bearings that are far more durable than the OE plastic bearings, which wear excessively in adverse conditions. 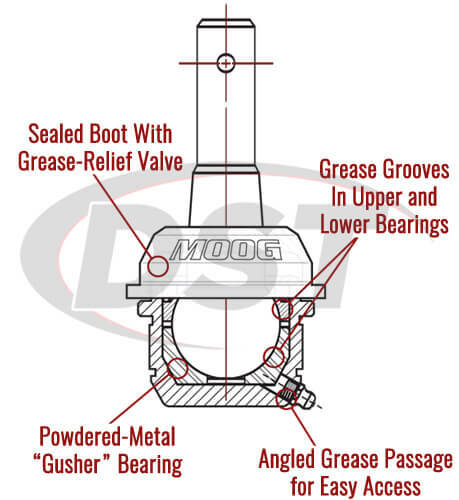 Moog's K8412T comes equipped with a polychloroprene sealed boot with a grease relief valve that keeps out the harmful road contaminants that cause premature wear. 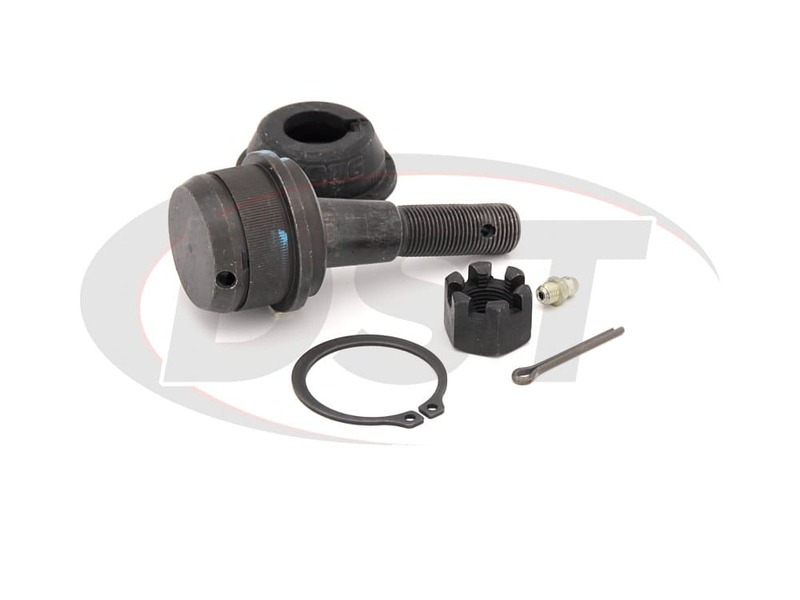 With K8412T you not only get an upper ball joint that is now serviceable, but you also get the added durability that Moog provides. The added benefit of Moog doesn't stop there, however. K8412T also comes with a lifetime warranty that reflects Moog's confidence in their parts. And don't worry about the hassles of a warranty, our DST customer service team can handle all of that for you should you need.